As usually I don’t have much of information of games I review, I mostly just pick them as categorically and most recent releases. Transference was one game that I barely knew anything about, other than it’s thriller PSVR game and I wanted to try it. Other reason was the actor-producer, Elijah Wood, who was with doing this game. Transference can be played without VR but this review is only about PSVR experience. 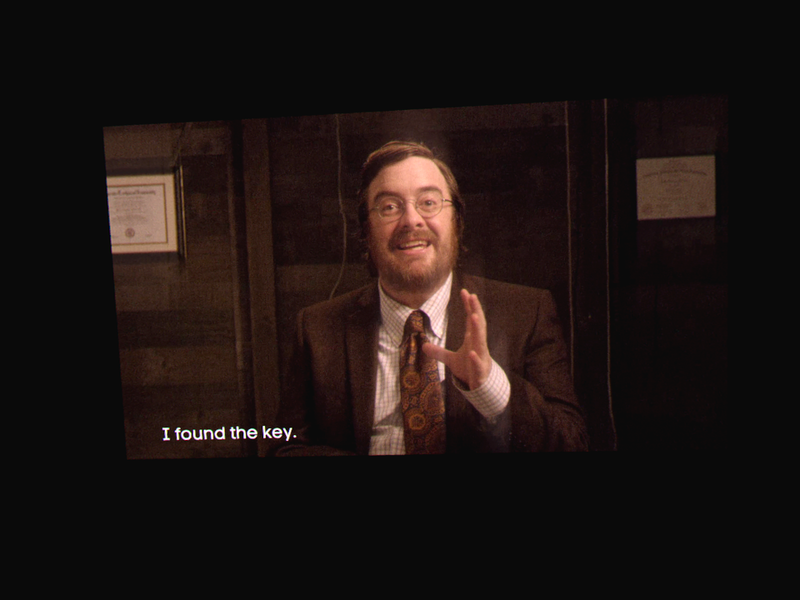 Transference took me by surprise story-wise — in a good way. I love, love, love theoretical physics (I have read/studied it for years) and Transference tells… actually I’m not sure what it tells of, because the story wasn’t completely linear and clear (as of theoretical physic is in general). If I put the pieces together as I understood it; the story is of a man who does some kind of science project in his home. He had a young son and wife. Something happened and they got stuck in another reality/loop. I’m not even sure who is the character who I played with, but I need to figure out… something. The thriller aspect comes from a black shadow-like figure who attacks you and then you have to start over from latest checkpoint. In the end I managed to collect extra material that I could watch in the main menu and it opened the story little bit more, but still I’m not kinda sure what happened or what was going on. 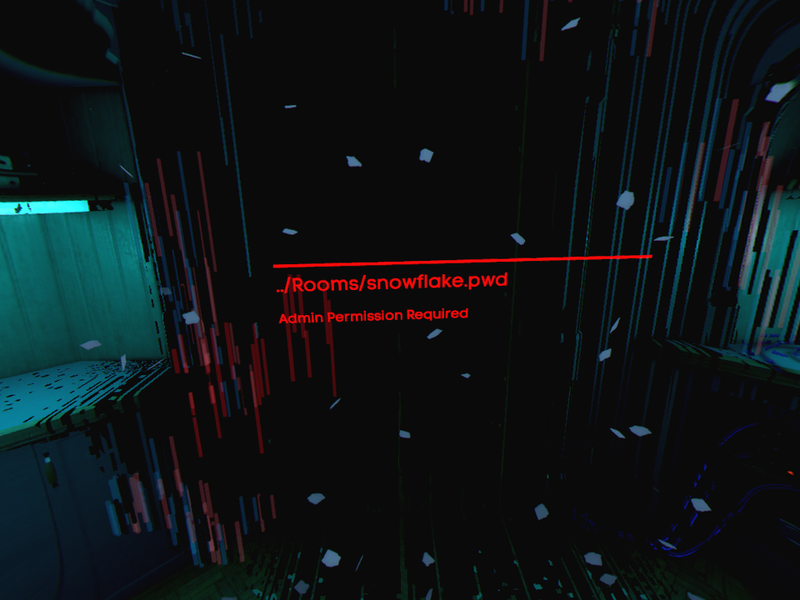 In Transference player is the mad scientist’s apartment trying to figure out what happened and what’s happening right now. 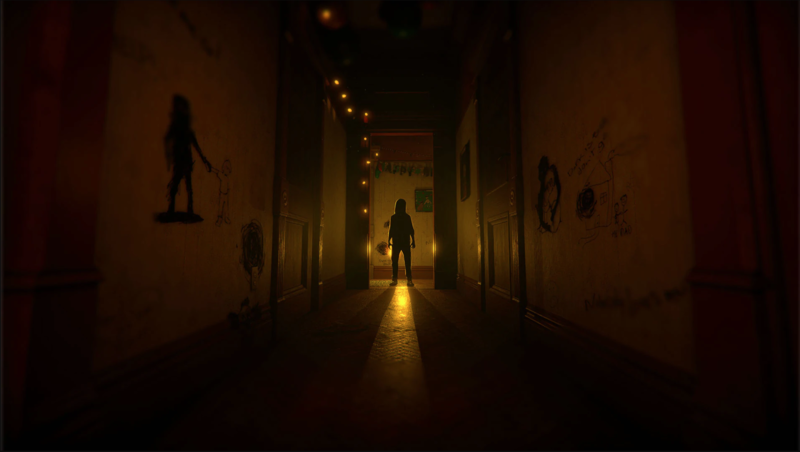 Gameplay is mostly walking and picking up items and checking them or taking an item to right place. 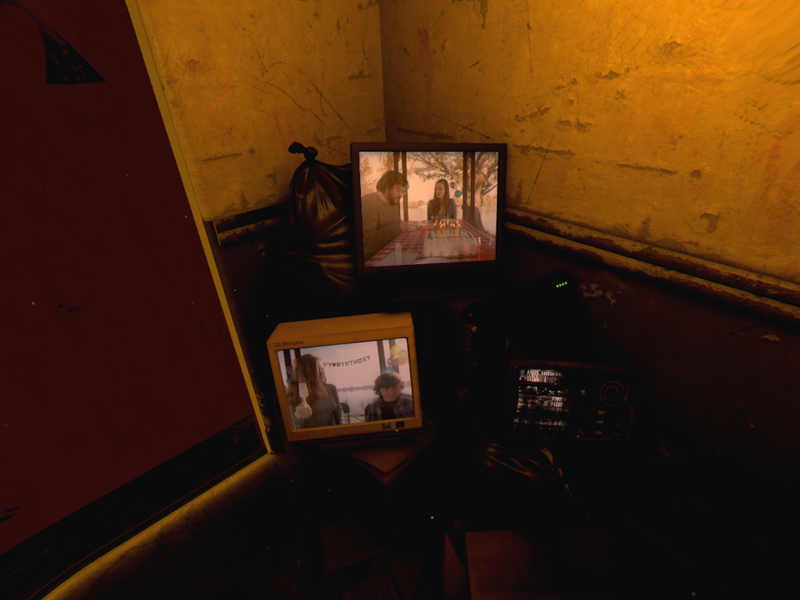 Transference is more like walkthrough-simulation-ish with ‘kinda like puzzles’. It was more of story driven and movie-like. Most puzzling was trying to figure out what to do and where, by this I mean that player can hit the light switch and then change to the same place but in differrent reality? (See, this is hard to explain in words!!) Take some items from one reality to another. Other puzzles was to do certain task what the reality told you to do by showing you text like ‘clock_time_not_found.mp3’. What helped the gameplay was how the objects that were usable/touchable blinked so it was more easy to navigate around. What bothered me with the controls was how slowly the player can walk and when crouching the speed of walking was slower than a snail. It was weird, but realizing that there wasn’t any place where I needed to crawl through, only picking up things from the floor. 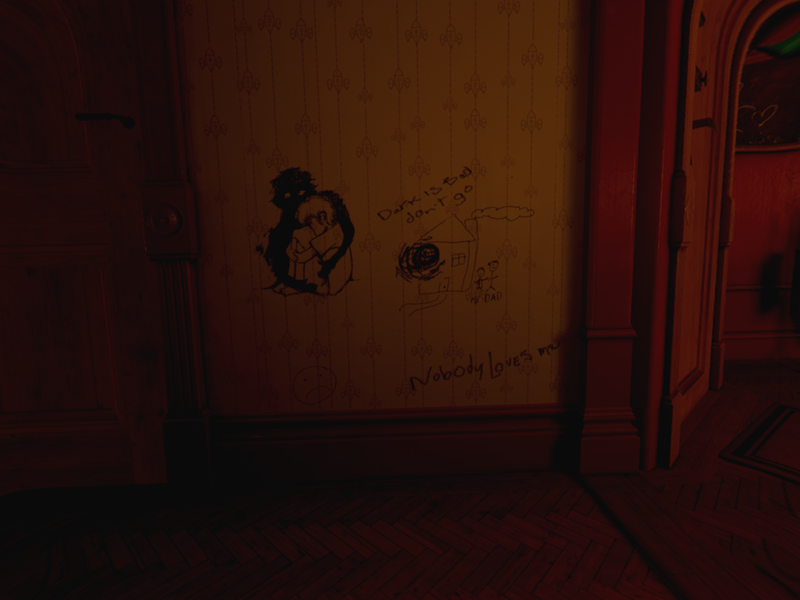 Transference is beautiful game. More precisely; beautiful PSVR game. The graphics were super detailed and sharp for a PSVR game and it has to be one of the most beautiful PSVR game I have played to date. Be reminded I played this with PS4 Pro console so it might something to do with it? Travelling between realities the sound world changed as well. Some voices player could hear was differrent in another reality. Sometimes the shadow figure ran towards me with huge RAAAWWR that made me jump couple of times. Personally I didn’t find anything hard in this game, other than trying to figure what was going on in overall. The puzzles were clear and didn’t include any crazy mathematics or rocket science. 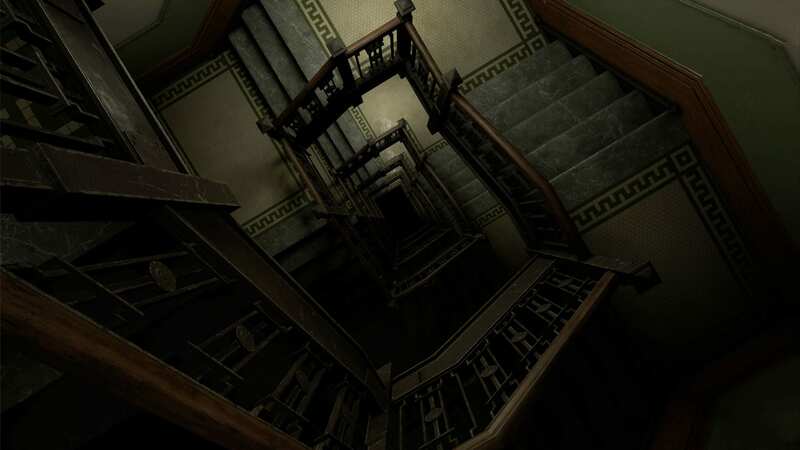 There was times when I just walked around the house trying to figure out what I missed since I couldn’t progress any further and it was just my own understanding of the situation/reality that was not correct. The game is not that long (approx. 2 hours) but the message it has is intriguing. If you understand even a little bit of science, theoretical physics, physics and generally anything about our reality and how it can be bend, I’m sure you’ll understand what the game is all about as you play it. I only missed couple extra videos that could’ve explain to me all the T but maybe in next playthrough I’ll find them. It is shame that I can’t tell much more of this piece since it is hard to explain and understand in general. Transference cost me 25€ and it felt too salty. I expected much longer gameplay for that kind of price. Is this game must? If the price comes down yes but otherwise no, let say it’s almost in between (at least in this reality where I am right now).